Unlike the rest of his family, Jake really doesn’t enjoy Christmas. It upsets his normal daily routine, both at home and at school, and causes him to get frustrated and angry. With the festive season looming, he decides that his best option is to remove Christmas from the calendar completely, without the knowledge of his family. At first, everything goes well as he manages to alter the date on everyone’s phones to much earlier in the year. However, Jake soon realises that his plan is doomed to failure and runs away to seek refuge in his favourite place, the local churchyard. While there he meets a lost dog called Susan and, over the next few days, realises that he needs her love and companionship as much as she needs his. Will Susan help Jake to change his view on Christmas, and what will happen when her true owners ask for her back? 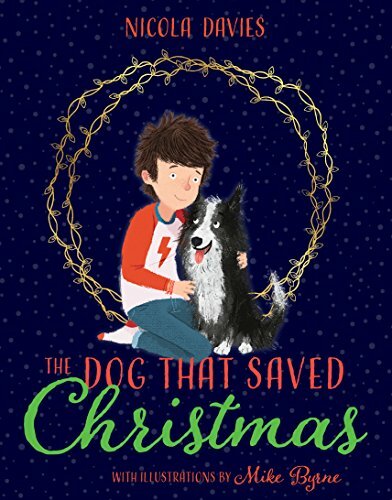 The Dog That Saved Christmas is an emotionally rewarding short story and one of the latest additions to the excellent Barrington Stoke range. Although it isn’t explicitly stated, Jake has a form of autism, which is handled sensitively and with humour by author Nicola Davies. The members of Jake’s family are supportive and always do their best to understand how he views things, although occasionally find some of his behaviour difficult to deal with. The tender relationship between Jake and Susan develops throughout the course of the story and, when Jake’s heartfelt Christmas card to his canine friend is read aloud, it is an extremely emotional moment. This is a wonderful book to read aloud to a Year 2 or 3 class in the run-up to Christmas and could easily be completed within a week. Jake’s fears and worries would be shared many other children, and the book provides several excellent opportunities for discussion about what is truly important over the festive period. Highly recommended!